New for 2018....A hat pattern that I created during our very long, cold and snowy Montana winter! When you order this pattern you'll receive a five page hard copy in a clear sleeve. It includes photos, instructions, a material list and a colored chart for the fair isle design. 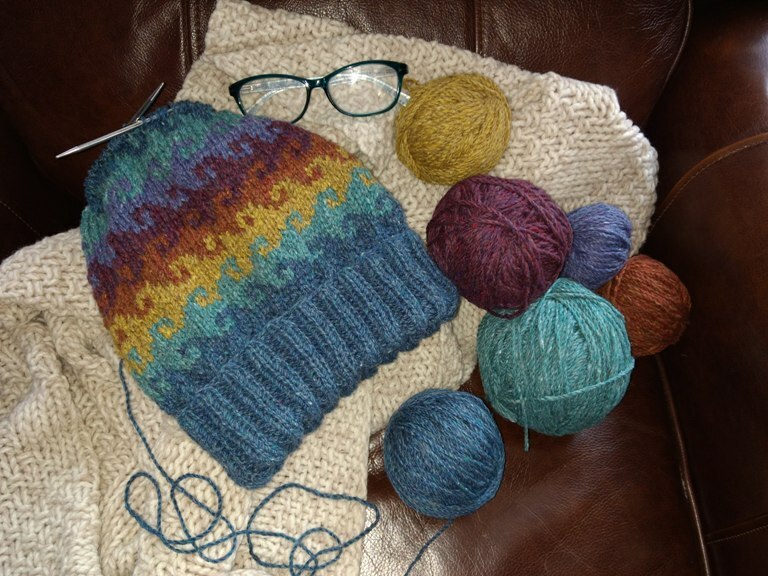 The pattern is knit using our worsted weight yarn. The color combination pictured requires approx. 2 oz. of Two Medicine, 1 oz. Dusty Mallard and 1/2 oz. of Roasted Malt, Autumn Haze, Nightshade and Alpine Indigo. I would recommend ordering 1 oz. sample skeins and a full skein of the main color, for good measure. There are many color combination options for this hat and it's a great way to get creative and use up odds and ends from your stash.